Hey everyone. Shanna here with a new card for the release this week. 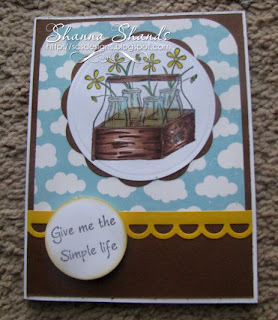 I used some fun summer paper and a couple dies. 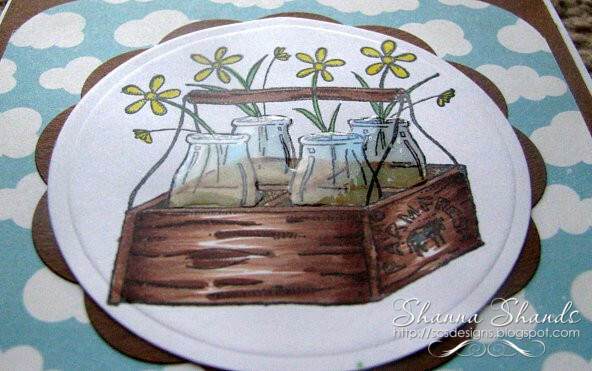 The circle and scalloped circle are from spellbinder. 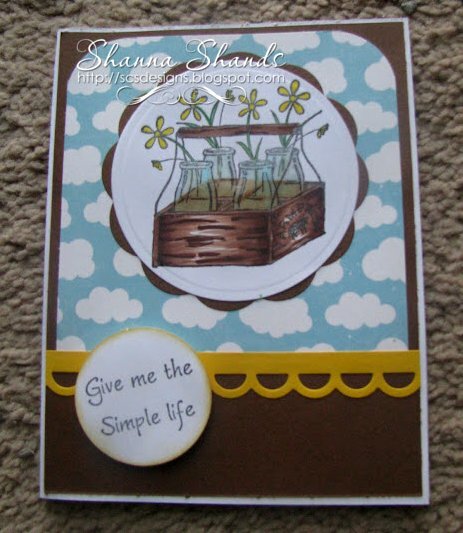 The border die is from MFT. The sentiment was punched out using a circle punch I believe although it may have been a die. I colored the image with copics and had a blast glazing the jars. Mason jars are great for everything aren't they. Check in tomorrow to see what Jenny created! Hi! such a lovely card,gorgeous image and colours too. Hi Shanna! Country never goes out of style...it's so warm & fuzzy! Love your earthy colors. Oh so pretty! Makes me yearn for the simple life! Such beautiful colors used on this card!